The first launch Friday is set for 3:42 p.m. EDT (1942 GMT) from the Baikonur Cosmodrome in Kazakhstan with three passengers heading for the International Space Station. The Soyuz FG rocket will depart from the cosmodrome’s historic Complex No. 1, where Yuri Gagarin took off in 1961 to become the first human to travel in space. Commander Gennady Padalka, a veteran cosmonaut who will break the record for the most time spend in space on his upcoming six-month mission, will occupy the center seat of the Soyuz TMA-16M spacecraft. 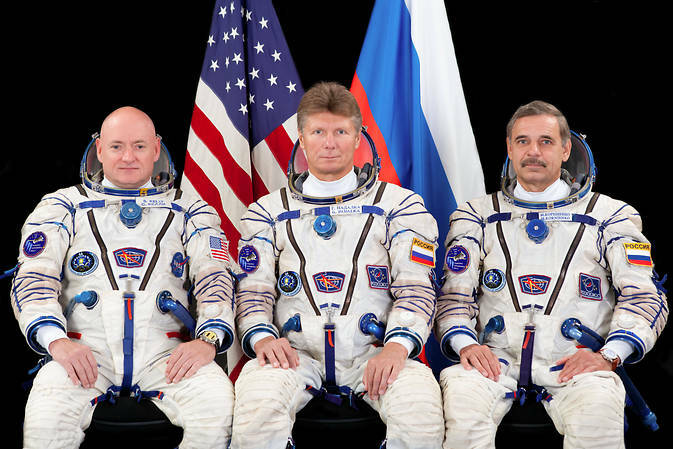 Russian cosmonaut Mikhail Kornienko and NASA astronaut Scott Kelly will join Padalka. Kelly and Kornienko will kick off a nearly one-year mission in orbit, the longest continuous space voyage in two decades. 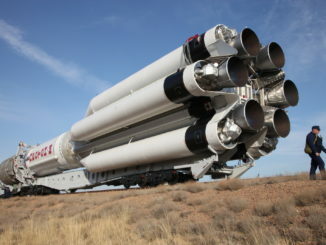 Scientists will track how they respond to the long-duration spaceflight to inform plans for future expeditions to Mars. The Soyuz TMA-16M will approach the space station on an expedited four-orbit rendezvous sequence, aiming for docking with the outpost’s Poisk module at 9:36 p.m. EDT (0136 GMT). 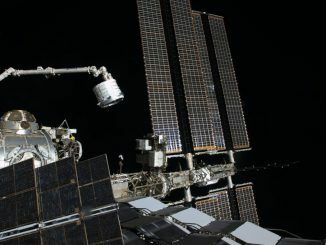 Padalka, Kornienko and Kelly are scheduled to open hatches and float into the complex later Friday night, joining three other residents already aboard the orbiting research laboratory. While the Soyuz spaceship chases down the space station after its launch from arid plains of Central Asia, another Soyuz rocket will be counting down to liftoff more than 7,000 miles (11,500 kilometers) away on the frontier of the Amazon rainforest. Managed by Arianespace, the launch from French Guiana will not carry a crew. 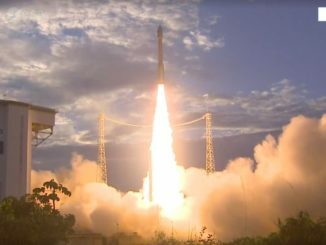 It will instead deliver two navigation satellites to orbit for Europe’s Galileo navigation network, an analog to the U.S. military’s Global Positioning System. Liftoff of the Soyuz 2-1b rocket, fitted with a modernized digital control system and upgraded engines not yet used to launch crews, is scheduled for 5:46:18 p.m. EDT (2146:18 GMT). The launcher’s Fregat upper stage will release the two 1,574-pound Galileo satellites in orbit 14,600 miles (23,500 kilometers) above Earth nearly four hours later. The Soyuz rocket will trek northeast from a launch pad carved out of the bedrock of northern South America specially built for the Russian rocket. Friday’s liftoff will mark the 11th flight of a Soyuz booster from French Guiana since October 2011. The back-to-back launches are not new for the Soyuz rocket, which has flown in many configurations more than 1,800 times since the dawn of the Space Age. 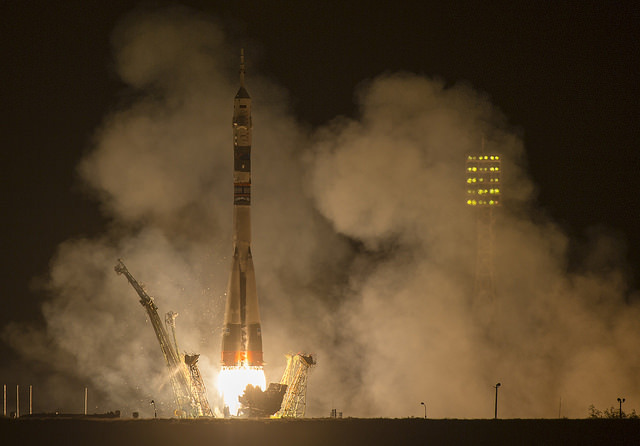 The last time two Soyuz rockets blasted off in such close proximity was in June 2013, when Soyuz launchers sent up a Russian Earth observation satellite from Baikonur and four commercial Internet broadcasting spacecraft from French Guiana less than two hours apart. 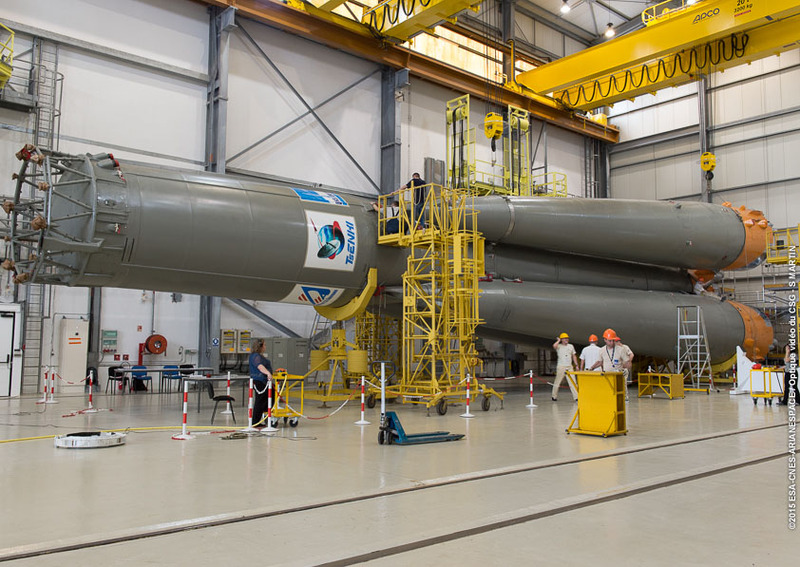 TsSKB Progress produces Soyuz launch vehicles in Samara, Russia. Soyuz rockets flew more than any other type of launcher last year.